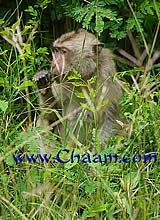 Like every year in Cha-am, the Chinese New Year was again celebrated vigorously. Tens of Thousands were coming from Bangkok with their cars and the colorful tour buses to the beach of Cha-Am. Some smart of them already arrived yesterday, on February 9th, and began to celebrate. Today at the Chinese New Year once again all roads and hotels are crowded. The hotel prices are on these days sometimes three times as high as usual. 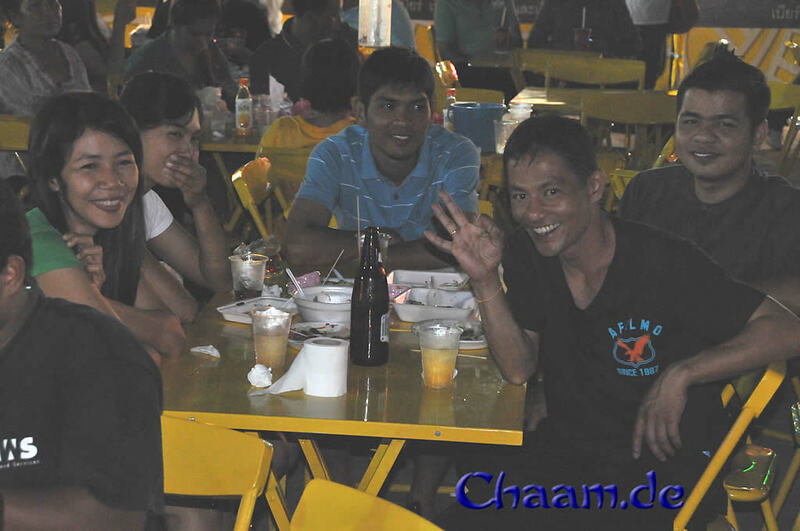 At the same time also the Cha-Am Prawn Festival 2013 take place, which continues to February 17th. The Narathip Road, which is also named pork street, because of the many pig restaurants, was once again blocked at the lower end to the viewpoint. There are now back several souvenir stalls and delicious food stalls. 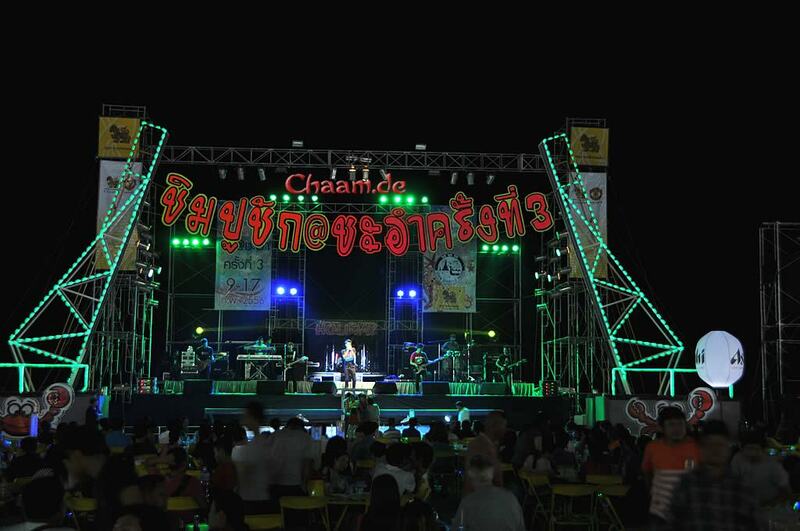 At the viewpoint a huge stage was set up, around the square were dozens of exotic food stalls and the center of the square was equipped with chairs and tables. In the evening, then again good Thai rock music from huge speakers booming! In the next two weeks, the party atmosphere will decrease only slightly, because the Chinese New Year is traditionally celebrated for 15 days. 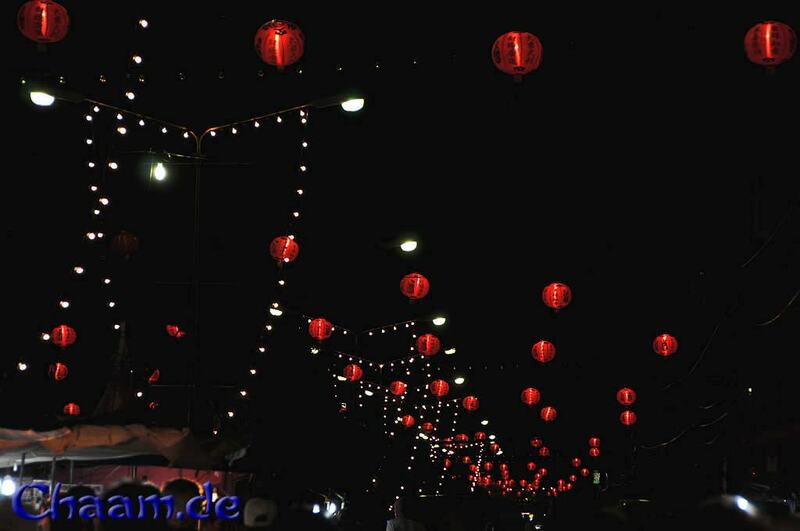 At the last day you will see beautiful lantern parades. In the Chinese calendar now the water dragon was replaced by the water snake, which turns on 31 January 2014 to the wooden horse.